Today is Design Team Monday over at Little Scraps of Heaven and what that means is each Monday there will be a new challenge posted. Play along and have a chance to win $20 in FREE patterns! This week is a scenery challenge. Be sure to also check out the Design Team blog – there are some amazing layouts from the gals! And be sure to head to the fanpage and give a big warm welcome to the newest Design Team members! 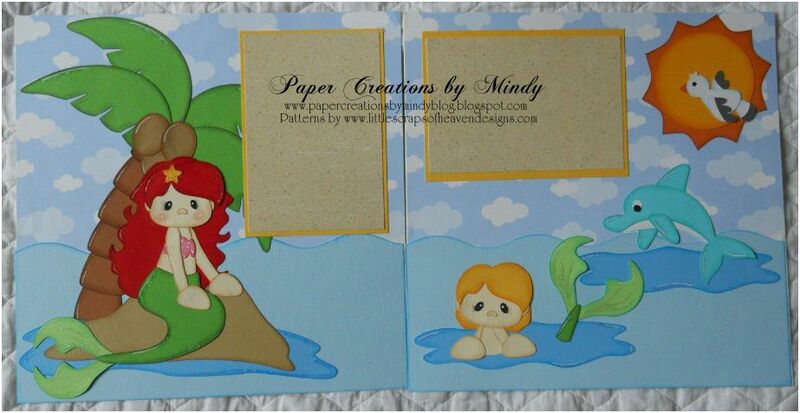 For my scenery I created the ocean with the Mermaid and her friends! 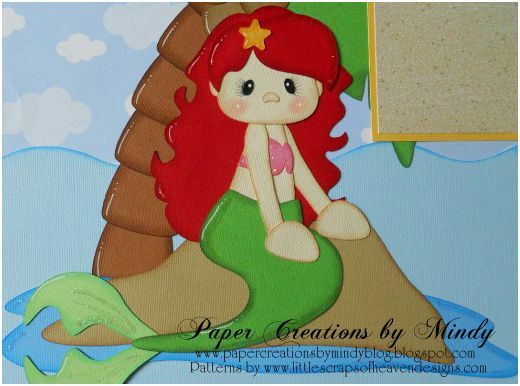 This is all from the Mermaid Paradise pattern collection. 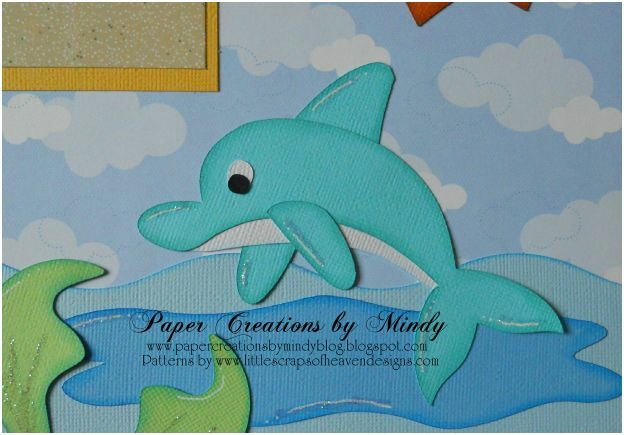 The tail and water is decorated with stickles. Thanks so much for looking and would love to hear your comments!